Halloween is very near and you are looking for fresh, spooky and inexpensive home-made decorations. Don't worry you've come to the right place! You can make a haunted house, ghost, pumpkin, Frankenstein, etc from the cheapest things you can find at home. For example, you can make a mummy from wooden craft sticks (or popsicle sticks), glue, a square yard of muslin and tiny googly eyes. You can even turn a seaside bucket into a witch's cauldron by wrapping it with black crepe or tissue paper and decorate it with red stickers or glitter glue. You can also turn a old white glove into a mummy hand! Cut off three sides of cereal box, 6 inches from the bottom. Cut the fourth side high enough to make the lid. Cover box with black construction paper and then draw Halloween design on sides of box with white chalk. Cut out the design with a scissor or ask an adult to help you do this. Paste orange crepe paper on inside of box to cover the cut out areas. Paste black features on design if desired. Fold fourth side down to make the lid. For a handle, draw cord across the bottom of the box, punch holes and draw the cord through the bottom corners; draw the cord up the sides, through the top corners and tie up at the top, allowing enough cord for a handle. Place a flashlight inside to light it up the design at night. Find a brown paper bag (the type you use for packing lunch). Bulb end of flashlight is inserted 2 inches into the open end of the paper bag. Draw open end of bag together around flashlight and tape with masking tape or tie with string. Bag may be decorated by using tempera paints and/or construction paper. If tempera paints are used the design is drawn and painted directly on at least one of the faces of the bag (if desired, designs can be placed on all four sides of the paper bag). If construction paper is used, the desired portions of the designs are cut out of this paper and pasted to one or more faces of the bag. While the picture on the paper bag is being designed the flashlight can be lighted in a darkened area to obtain the desired effect. Combinations of two or more faces can be used for dramatic skits. These are perfect for Halloween, you can make the flashlight a character that is a smaller version of you. How to Make Paper Pumpkins for Halloween - In this post I will show you a creative and easy way to make three dimensional paper pumpkins perfect for Halloween. Why not make a few and let you kids help decorate the house for Halloween. They will love it!! Make Halloween Jack-o-Lantern Candle Holder With an Old Teacup Here is an easy to make, pretty Halloween Jack-o-Lantern candle holder that can brighten up your home this Halloween. Make a Halloween Pumpkin Tree This Halloween tree will add a nice touch to your living room. And you don’t even have to throw it away when Halloween is over. You can just remove the pumpkins and add stars and you’ll have a Christmas tree. How to Make Creepy Halloween Eyeballs, I’ve Got My Eye On You! - Cobwebs and spiders are okay, but if you’re looking for really scary Halloween decorations, try leaving some of these eyeballs around the place! Today we will be making these creepy eyeballs that will gross all of your friends out. The easy arts and crafts instructions for making these gross eyeballs can be found below. Have fun! Halloween Door Decorations Crafts - Here you will find a collection of door decorating ideas for Halloween. 3-D Figure Decorations to Make - Learn how to make 3D Halloween decorations from paper. Big Frankenstein Craft to Make - Kids can make a big Frankenstein craft from newspaper and green paint. Big Owl Craft Making Instructions - Find out how to make an owl craft from newspaper, paint and other materials. Boo Banner Making Directions - Find out how to make a Halloween Boo Banner in a few easy steps. Candle-Eye-bra Activities - Learn how to make spooky eye votive holders for Halloween. Candy Corn Luminary to Make for Children - This charming little jar is fun to make and pretty on display.Turn an ordinary glass jar into a candy corn luminary by using cream acrylic craft paint, paintbrush, tissue paper in white, orange and yellow and a few other craft supplies. Candy Corn Votive Cup Activity - Make a candy corn themed votive cup from a small or medium terra-cotta pot..
Can of Worms Making Directions - This can of worms would make a great Halloween party decoration. Cauldron Desk Accessory - Don’t forget the Halloween decorations for your office desk! This cauldron desk accessory is a great idea. Crawling Creatures - Crayola.com shares with you crawling creatures crafts that kids can easily make using Crayola products. 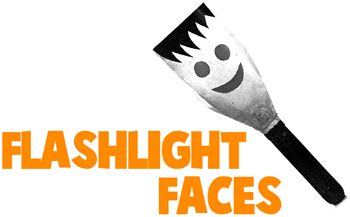 Crumple Creatures - Find out how you can make scary faces decorations for Halloween. Decorative Candy Corn Jar - This decorative candy corn jar makes a create Halloween gift for family and friends. Decoupage Halloween Candle - Learn how to make a pumpkin themed Halloween candle table centerpiece by following these instructions. Door Knob Mummies - Crayola.com shows you how you can decorate your door knobs for Halloween.. Egg Cup Treat Holders - Follow these instructions to make Halloween treat holders from cardboard egg cups. Eye Decoration - Make a spooky eye decoration from a paper ball, red glitter glue, thread, and green and black marker pen. Frankenstein Doorknob - This is a great Halloween doorknob craft for children of all ages to make. Frankenstein’s Monster Craft - Learn how to make a Frankenstein’s Monster decoration from a toilet paper roll, your printer, paper, glue and crayons. Frankie Decoration - Find out how to make Frankie the Frankenstein monster from a recycled 16 ounce can. Glow in the Dark Mural - Children can make a Halloween glow in the dark mural from black lights, paintbrushes, white paint, a large piece of brown paper, newspaper and fluorescent paint. Glue Ghost Decorations - Make spooky ghosts from white glue, waxed paper, wiggle eyes and materials to decorate. Gorgeous Gourds - Learn how to make Halloween characters from gourds. Great Gargoyles Decoration - This is a great Halloween decoration kids can make and hang on the wall. Halloween Bucket Cauldron - Learn how to make a Halloween cauldron from a seaside bucket. Halloween Cauldron - Make a Halloween cauldron from two balloons, newspaper, white glue, black paint and black pipe cleaner. Halloween Centrepiece - Learn how to make a simple Halloween centerpiece by following these instructions. Halloween Cobweb Wreath - Decorate your front door for Halloween with a cobweb wreath. Halloween Door Hangers - Make a simple Halloween themed door hanger from fun foam. Halloween Door Sign - Learn how to make a wooden ghosts door sign by following these instructions. Halloween Handprint Wreath - This is a simple Halloween paper wreath for children. Halloween Jar - Find out how to make a spooky Halloween version to the Christmas snow globe. Halloween Luminaries - Make Halloween luminaries from recycled tin cans. Halloween Photo Frames - Follow these instructions to make a Halloween memories photo frame. Halloween Trinket Wreath - No Halloween party is complete without a Halloween wreath for your front door. Halloween Votive - Find out how to make a simple Halloween votive by using a small Halloween stickers. Halloween Window Clings - Find out how to make window decorations for Halloween. Halloween Wreath - This is a fun Halloween wreath that kids can make from a lightweight cardboard box. 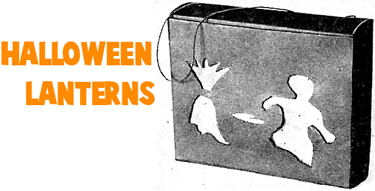 Holiday Window Decorations - Find out how to make window decorations for Halloween. Ice Cream Stick Ghoul - Make a ghoul craft from an ice cream stick, red tempura paint, and a few other craft supplies. Leaf Wreath - Turn a plain white plastic plate into a Halloween wreath with paper leaves. Luminous Lights - Make luminous lights for Halloween from your paper lunch bags. Midnight Monster - Scare all your friends with this spooky midnight monster. Monster Looking in Window - This is a fun monster window decoration children can make. Mummy Craft Sticks - Make a mummy craft from wooden craft sticks, wooden craft spoons, 1 square yard of muslin and other materials. Mummy Decoration - Learn how to make a mummy decoration from a toilet paper roll. Mummy Hand Decorative Desk Tidy - Make a mummy hand decoration for your desk using a small cardboard tube, thick card, newspaper, sticky tape, white glue and white paper. Mummy Jars - Follow these instructions to create Halloween mummy jar decorations. Paper Decorations - Here are a few Halloween decorations that children can make from orange, white and black card stock. Paper Jack o' Lantern Decoration - Learn how to make a Jack o’ Lantern decoration from a large piece of orange cardstock. Paper Plate Wreath - Kids can make a Halloween wreath from paper, crayons, scissors, glue and a paper plate. Pompom Jack o' Lantern Decoration - Learn how to make a Jack o’ Lantern decoration from one skein of orange yarn, back felt and a few other supplies. Pumpkin Table Decoration - Find out how to make a pumpkin table centerpiece for Halloween. Purple Monster Decoration - Fun and easy monster Halloween decoration craft. Shower Curtain - Turn a clear plastic shower curtain into a spooky shower curtain in a few simple steps. Silly Smelly Garland - Crayola.com shares with us a Halloween garland craft for children. Simple Mummy Decoration - Find out how you can make a mummy from a craft stick, tissue, glue and a black marker. Sinister Signs - These are fun and creepy decorations that kids can make for Halloween. Springy Spiral Snake - This tutorial will show you how to make a spiral snake from a sheet of card stock. Tin Can Frankenstein - Find out how you can turn an empty aluminum can into a Frankenstein decoration. Tissue Paper Flowers and Vase - Follow these instructions to make a few beautiful paper flowers and a vase for Halloween.